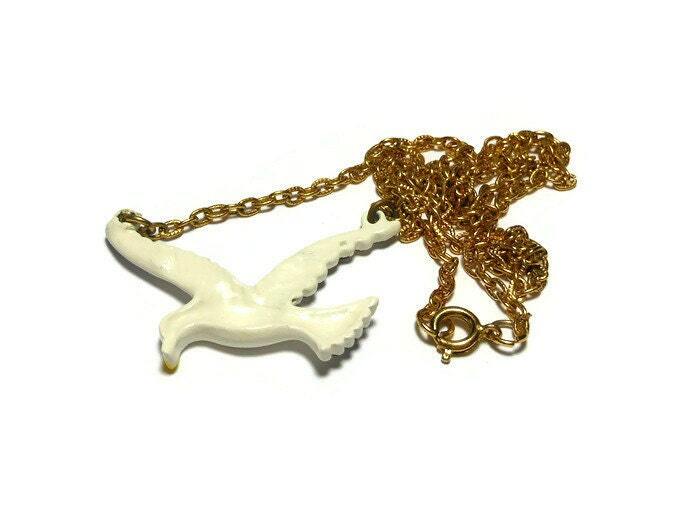 White seagull necklace pendant, modernist style, white enamel seagull with gold tone chain, yellow beak and black fringe on ends of feathers. 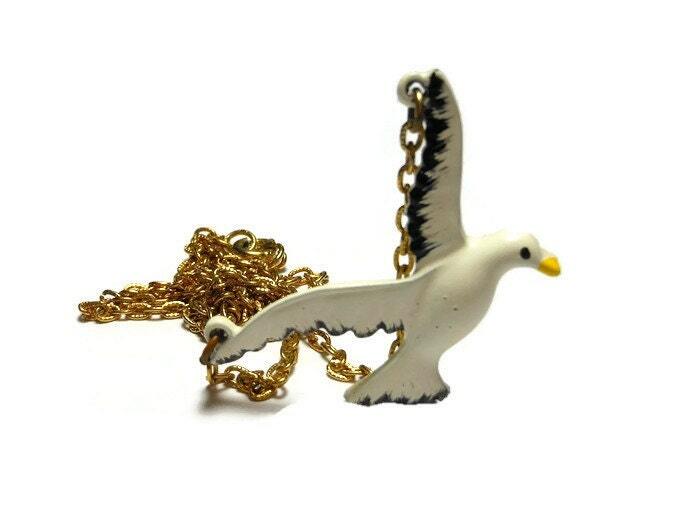 The necklace measures 19" (48.3 cm), including the clasp, and the seagull is 1 1/2" ( 4 cm) of that total width. 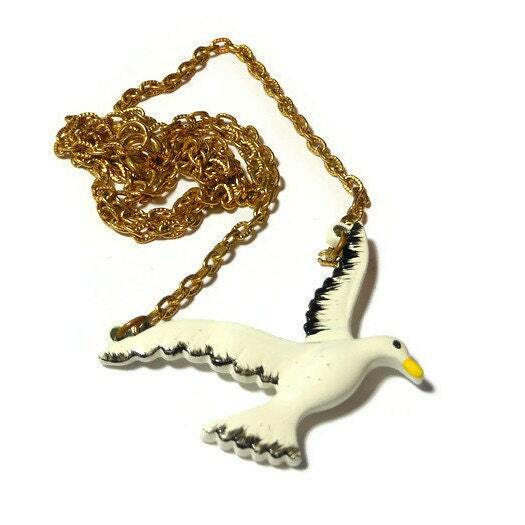 There are a few marks on the body where there would have been a bubble in the enamel when painted. Can only see it close up, else this girl is in great shape!